As part of our annual commitment, we made our 1% For The Planet donation this week. This year we decided to support the National Parks Foundation and Save Bristol Bay. We have supported the National Parks before, but thought it was especially important this year as they are facing national budget cuts that will severely affect their 397 parks. The Orvis/TU Save Bristol Bay Campaign is an effort to protect Bristol Bay, a pristine fish and wildlife habitat, in southwest Alaska which is currently under threat from the construction of a large gold and copper mine called Pebble. 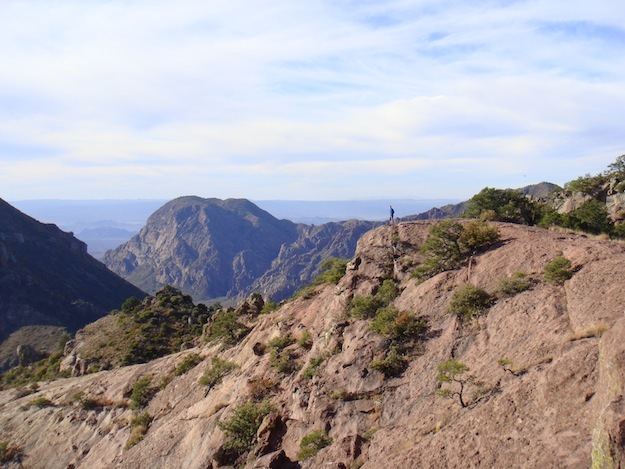 Above is a photo from our 2010 trip to far west Texas where we visited Marfa and hiked the canyons of Big Bend National Park. It has been a month since design week, and we are still catching up, but we wanted to take a quick moment to share some more images of our collaboration with Emilie Baltz for Reclaim x2. Above and below are some of Emilie's amazing photos of our concoctions: Angry Dependence (blood orange/chocolate), Hateful Wonder (matcha/vanilla), Sad Pleasure (basil/clementine), Humble Serenity (celery root/almond), Contented Want (lavender/morello cherry) and Embarrassed Lust (passion fruit/gooseberries). "The L.O.V.E. Potions are a series of artisanal, desire-inducing vodkas inspired by artist Emilie Baltz's new publication, the L.O.V.E. FOODBOOK, an art book that presents recipes by 15 contemporary chefs and mixologists, each revealing new definitions of the desire through food and drink. In addition to gathering personal narratives and imagery, Baltz worked with each of these culinary artists to assign a specific emotion to the ingredients in their recipes. The "pantry-list" that results goes beyond foodstuffs, offering a delicious, tactile lexicon of love. In collaboration with Chelsea Green and James Minola of Grain, the emotions are brought to life through a series of limited edition, custom designed vodkas that present new combinations of L.O.V.E. ingredients. 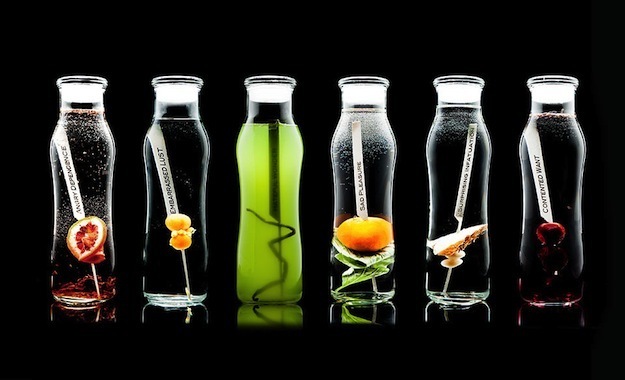 The resulting infusions both provoke and reveal the complexity of the elusive, intoxicating feeling that keeps us coming back for more." It was such fun to work with the talented Lady E. We hope it leads to many more experiments in the future.